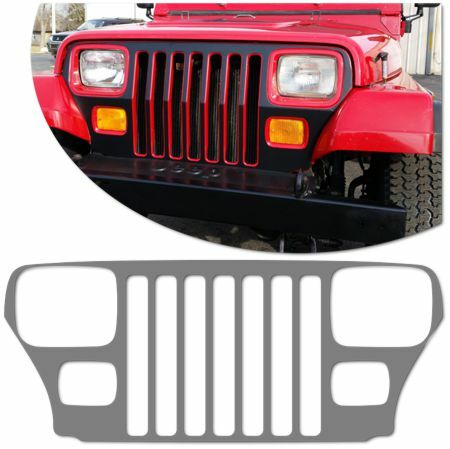 Make your '86-Current Jeep Wrangler's Grille stand out with this great-looking Grille Graphic kit. This graphic is not just a rectangle of vinyl in a box. Our graphic kit consists of a prefitted and contoured piece as shown in the illustration. 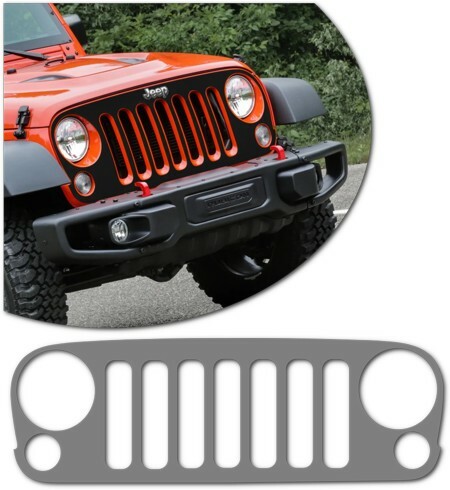 Kit is specifically made for the '86-Current Jeep Wrangler factory Grille per fitment chart below and will not fit any other vehicle. 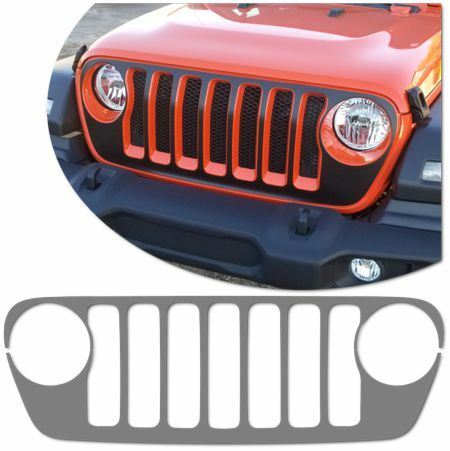 * Due to possible inconsistencies in placement of factory Jeep logo on the '07-'17 Wrangler JK models, there is no logo cutout provided. 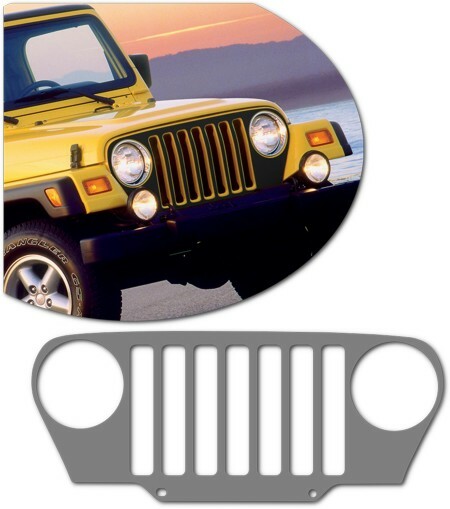 Thus, we suggest temporary removal of the emblem and replacement upon successful application of graphic. Alternatively, installer may carefully trim around emblem during application.